To register for the CONSIGNOR LOTTERY and log-in to enter items, click Here. Note: You have to click “join the wait list” to be entered in the lottery. The sale registration will say it is closed as it is a lottery-based system and not a first-come-first-served registration. See the Registration tab for more details. Preview our Seller Contract/Registration Form for Here. To register as a Volunteer Only, click Here. *See our Volunteer Tab for details of the staggered entry shopping times. 5:00 pm – 8:00 pm- Public pre-sale shopping event. $15 Per Person cash, $16 per person if paying by credit card. This fee is collected at the entrance. 100% of this entrance fee goes to local missions. Our sale is one of the largest in the area! We have several hundred consignors and shoppers will usually have more than 35,000 items to choose from. You can find everything you need from newborns to teens! We offer Preemie through Youth sized clothes, shoes and accessories. Don’t miss the full room next door dedicated to large equipment such as strollers, cribs, bikes, furniture, play kitchens and more! There are tables and tables of toys including crafts and electronics. Shop through rows of books including homeschool selections. Our Boutique section offers high end, high quality brands. The Teen Space offers everything your teen needs to be in style. The deals are amazing! 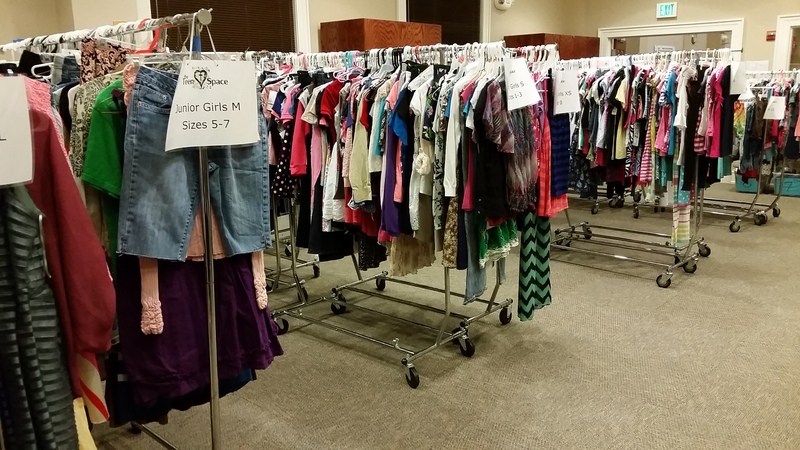 Our shoppers enjoy supporting local families and missions. Know as a consignor your efforts and a portion of your proceeds will benefit numerous organizations. Follow us on Facebook and Instagram to be first to know, and sign up for our emails. We have a BOUTIQUE SECTION! 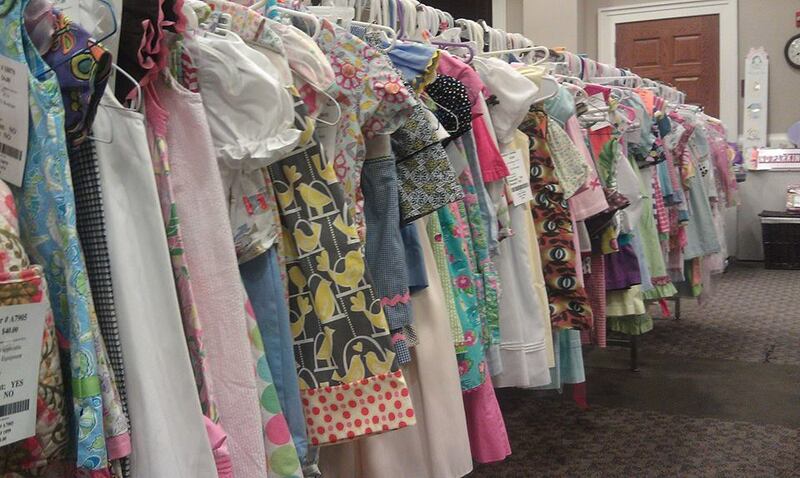 Looking for a special smocked outfit or perfect “Sunday Best?” We have an area full of boutique brands! For a sample of boutique brands, click here. Have a picky teenager on a budget? Check out our TEEN SPACE full of all the brands they are sure to love. Brands here include Vineyard Vines, Under Armour, Simply Southern, Hollister, Forever 21 and more. * All sales final. Cash, MasterCard, Visa, Discover, AmEx. No strollers allowed.